First, I should apologize for being so MIA last week, it was a blur of responsibilities and traveling and I wasn't able to quite cut it with the blogging duties. But, I was excited and very impressed by the June Topbox that I received last month. Since I was pretty impressed, I wanted to show it to you all. Topbox is a monthly beauty box with deluxe samples, and sometime full size products, and has been a hit or miss for me. I was very annoyed at the service at one point, since I was receiving products I wasn't too excited about or even really wanted to try. For the month of June, Topbox has been shipped out with all the necessary types of items to get a beauty addict, like me, excited. China Glaze in Feel the Breeze - this a beauty super bright and poppin' coral. In the words of a good friend, it will make you seem as though you have a tan - and its true! The colour really enhanced that summer glow, and its great for this time of year. 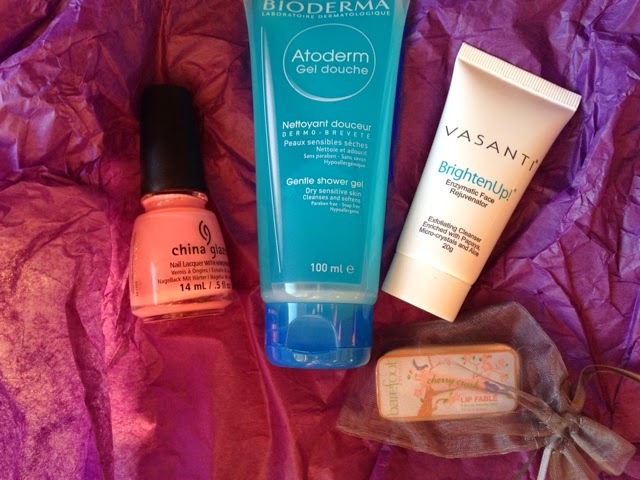 Vasanti Brighten Up - another enzymatic exfoliator. These can be harsher on your skin if they are used for longer, but can be very effective if used once or twice a week (depending on your skin type). This one is quite nice and gentle with a gentle scent- nothing too overpowering. 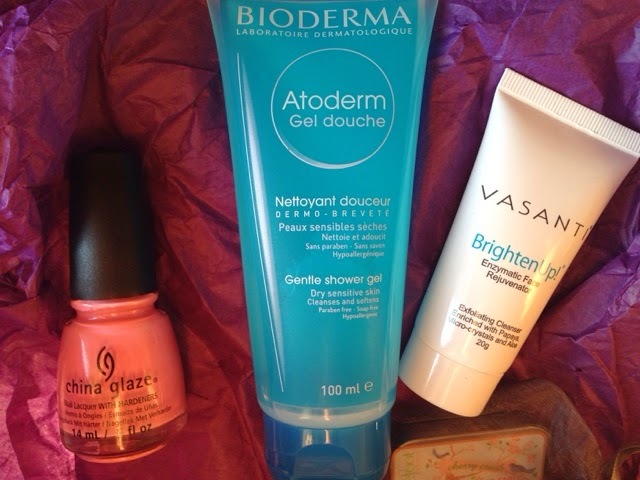 Bioderma Atoderm Gel Douche for Sensitive Skin, Gentle - I don't have particularly sensitive skin, but this product worked well on me and didn't strip my skin or make it feel dry. This seems gentle enough for sensitive skin and Bioderma is an excellent company when it comes to skincare. 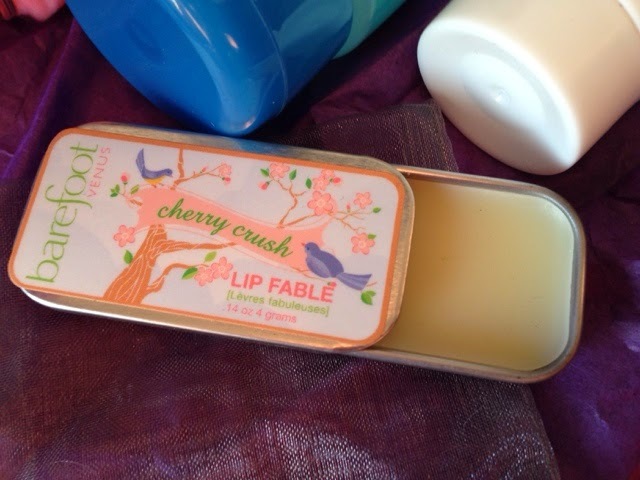 Barefoot Venus Lip Fable in Cherry Crush - Essentially a lip balm in a tin box that smells that your favourite childhood cherry candy. The packaging and the smell bring me back to when anything candy flavoured was fun to wear on the lips. It's moisturizing and quite long lasting, I'm enjoying it so far.